Burglars know that they only have so much time to grab what they can and get out. Typically, this is 8 to 12 minutes and obviously, the time is less for homes that have alarm systems. The problem is many of us keep our valuables on display. By just looking into your windows a burglar can get a good idea of where everything is and pre-plan where to spend their time. Here are some of the common places that burglars search. Over half of burglars enter using a door, but most will head to the bedrooms first. Why would a burglar waste time heading to the bedroom? The reason is that most bedrooms have jewelry, cash, and other expensive items hidden there. The first places they’ll look is under the mattress and under the bed. This is because many people have something hidden under there, and it just takes a second to check. The main reason burglars check here is that just about any drug that you have in your bathroom can either be sold for a quick buck, or they will take them for themselves. It is also common for people to store jewelry in the bathroom, so burglars can find two valuable items at the same time. Also, some people still hide things in the toilet tank. While this hiding place was clever in the past, it is a bad idea today since movies have made it popular. The living room is a popular spot for burglars to search because of people usually leave their keys, bank and credit cards, and other important items like personal documents in this room. Even if you hide these items in drawers, burglars will empty as many drawers as they can before they have to leave. Many times, the living room is normally close to a door, so if they panic, most burglars will just check this room and run. The study or office is a great spot for burglars to search because there are usually expensive items and a lot of technology in this one area. Within in a few minutes, a burglar can check most of your office to see what they can find. They will be looking for cash and any important documents. Some burglars will throw all the books off the shelves to see if there was anything hidden inside of them. They also will grab any technology and other valuables that they can carry, or just steal a bag from another room to make it easier to pack the stuff up and leave. Having a home alarm system installed and running means that burglars will have less time to take what they want. Lowering this time makes it harder for them to take everything they want, while still have time to get away. 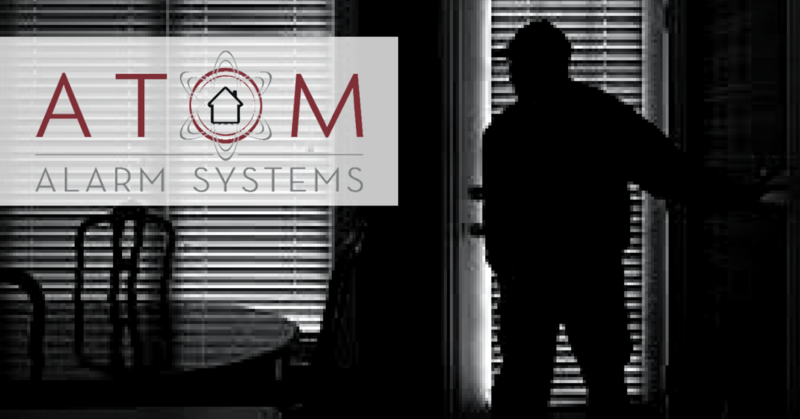 For more information on how Atom Alarm Systems can help you protect your home or business, visit www.atomalarms.ie or give us a call at 01 9065842.